This recipe from the Sugar Free Mom blog make a great after school snack! Part of my Friday routine usually includes a visit to my Grandma Rose with my kids after school. We spend some time together, have a few snacks and treats and then off we go until the next visit. One thing Grandma Rose is famous for is her Fried Zucchinis. She has a knack for slicing them, coating them and frying them perfectly. Whenever there is an event, she makes about 100 of them. The funny thing is: she doesn’t even like them! Let’s just say it’s a good thing I am not the one responsible for bringing them to events. I’d probably start out with 100 and end up with about 50 of them by the time I arrived. Lately, with our low fat dietary restrictions, I’ve been finding other alternatives to some of our favorite foods, and this recipe from the Sugar Free Mom blog was a great option for us. The author of the blog, Brenda is a local mom in our community. 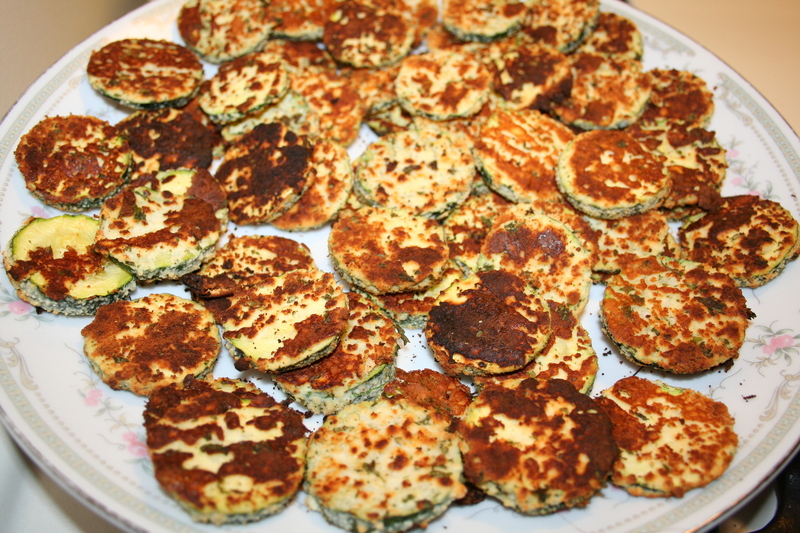 The zucchini rounds are baked, not fried and they are much lower in fat. Brenda adds in Parmesan cheese to her recipe, where Grandma Rose does not, but it adds a great flavor to it. Here’s the recipe as Brenda has it on her blog. Be sure to visit her blog as she has loads of great recipes on there, and she has lots of healthy options. No matter what your restrictions are, you will find something you like on her blog. 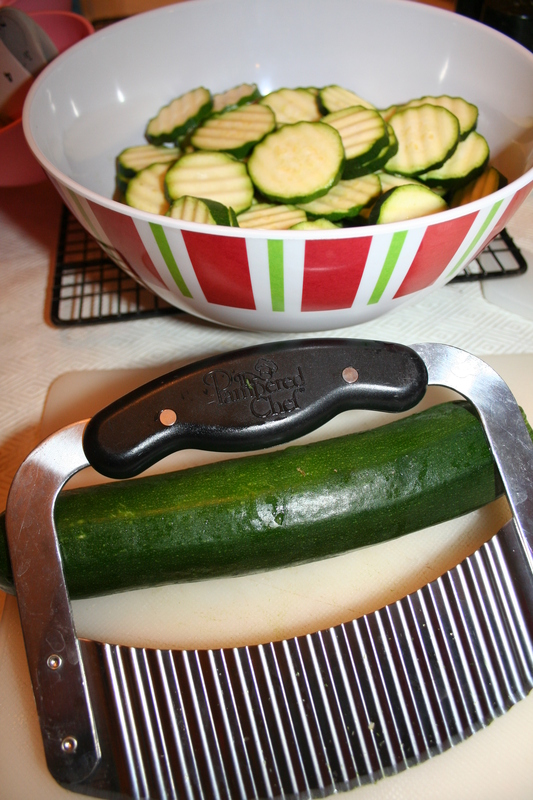 I used my Pampered Chef slicer to make very pretty sliced zucchini.